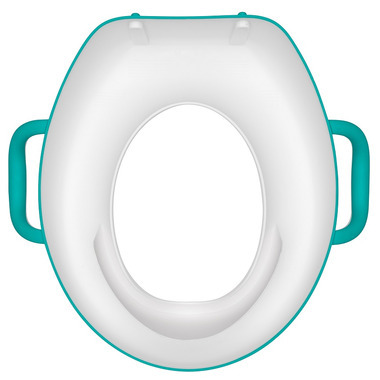 OXO Tot Sit Right Potty Seat promotes proper potty posture with minimal mess. 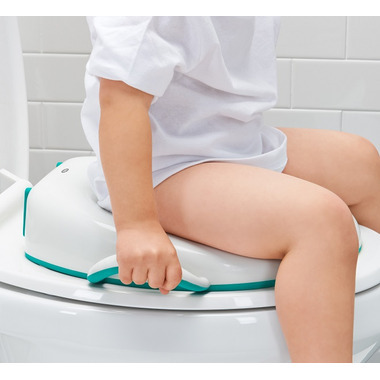 A non-slip edge and easy-to-grip handles keep the Potty Seat stable on any toilet. The splatter shield and smooth surface keep cleaning simple, and the angled design positions your little one in a comfortable position to prevent unwanted mess. The flat base allows for compact standing storage.